Music Action International is a highly interesting charity based in the UK that uses music as a connection and healing mechanism. I contacted Lis Murphy, the creative director of the project, and asked her a few questions about their work and the power of music. For those who are not familiar with Music Action International, what is the charity about? How did the charity start? ​I set up the organisation a few years ago. My first job after studying music was working in Mostar, Bosnia and Hercegovina a few years after the war ended. I was very moved by the people I worked with who became close friends in the way that music was used as a tool to express emotions to difficult to talk about and to bring people together in a joyful and positive way. When I came home to Manchester I worked with refugees and asylum seekers in​ museums and art galleries and then decided with a group of friends that we needed to bring more music to peoples’ lives in a thoughtful and ethical way to really transform lives not only of war survivors who had lived through horrific experiences but also to connect us all together. Lis Murphy, creative director of Music Action. A band that formed through Music Action, called Everyday People, was performing in the beginning of February at the London Remixed Festival. Can you tell us a bit about this band? This is an amazing group of teenagers who have been forced to flee their country because of war and are now in London without friends or family. They come from DR Congo, ​Syria, Eritrea, Ethiopia, Kurdistan, Iran and Afghanistan. We created a beautiful project in partnership with British Red Cross to support these young people through writing and performing their own music, supported by a highly experienced team of international musicians, some of whom also come from a refugee background. What are some of the other music projects happening at Music Action? We create music with torture survivors who are highly traumatised with our programme “Stone Flowers”, their music is really powerful and uplifting. We also support people who have recently arrived from war or conflict in drop-in centres​ through singing together in a choir, we also bring children of all ages from different backgrounds together in schools to work with refugee artists and write their own music towards interactive performances involving 300 school children. Music Action International recently ventured to Sierra Leone. How did that go? It was amazing!! We were made to feel so welcome and it was such a joy to work with young people living on the street who have been affected by conflict who shared so many creative ideas, who were desparate to have the opportunity to learn and who were incredibly insightful and engaged with writing and performing music collaboratively in all their different tribal languages. How can music help people who have suffered? We know that music, when used in a particular way physiologically changes the heartbeat, breathing and stress hormone levels​ in an incredibly positive way. Heartbeats synchronise when people sing together. Music connects people with themselves and with others. With people who experience trauma, all of these are incredibly important, as well as bringing people out of isolation and bringing back positive memories of the home they have lost. How does this job affect the professional musicians within Music Action International and their music development? We are really lucky to have such an amazing group of people who have joined our movement. There is such a great vibe at our performances that people often say it was the highlight of their working year. Having the opportunity to meet and work with people from across the globe, to share ideas, ways of working and philosophies on life is something really compelling and life-changing for everyone involved. What are some of the favorite protest/socially conscious musicians, current or old, at the office of Music Action International? We’ve just had a really interesting discussion in the office, so thank you for the question!! We of course love Sly and the Family Stone who wrote the song “Everyday People” as they were the first the first major multi-racial, mixed-gender band in rock history. Bob Marley was also a key peace activist. As well as the lead figures or musicians who represent protest movements or social causes, we love scenes and spaces that build movements that encourage activism and movements of positive change. What is on the horizon for the charity and for the music groups within? We are expanding our programmes in the UK to connect with and support more people affected by war & torture in schools, drop-in centres and with torture survivors​. We are also going back to Sierra Leone and are developing programmes with local organisations in Bosnia and Hercegovina. Our main aim is to get the message of people we work with who don’t have a voice to more and more people. How can musicians help and work with Music Action International? We need more people from around the world passionate about what we do to join our movement and share the music and stories from people affected by war, torture and armed conflict who don’t always have a voice. You can sign up to our newsletter here, or connect with us on Twitter, Facebook and Instagram. Thank you very much for participating and for helping to create music! Anything else you would like to shout from the rooftops? ​Thank you too!! 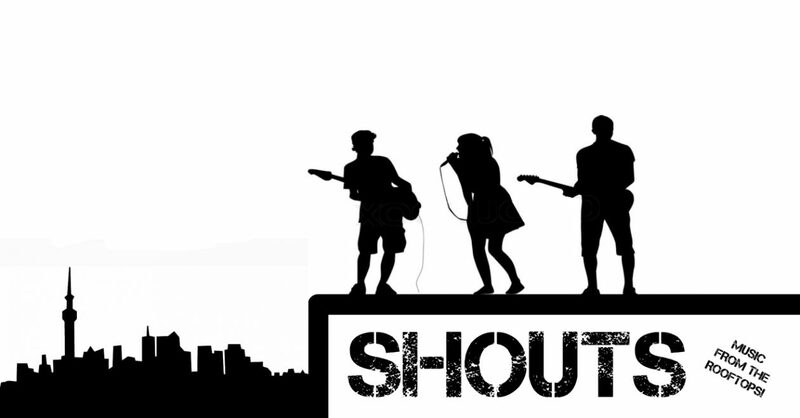 We are shouting no words from the rooftops, just​ some sounds for ya!! !